Planetary Gravity Simulator (EGA). 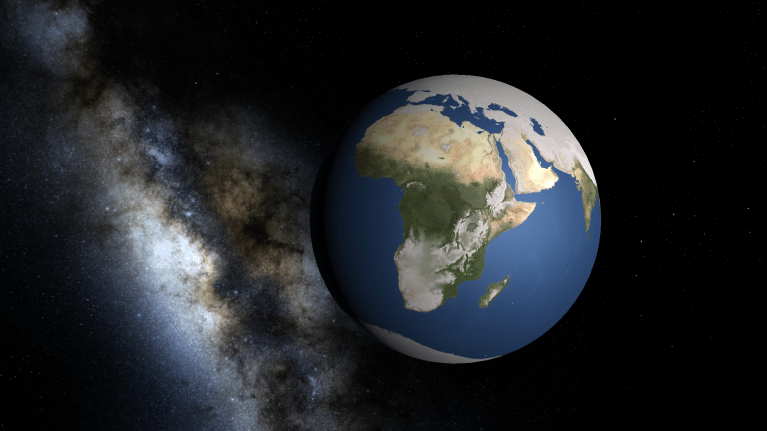 Great planet simulation. You place the planets where you like, and then start them in motion. Comes with several demos. nearly every variable is available for user adjustment. be able to enter actual planetary systems into the simulator. more powerful program with a number of added functions. of $20.00/$40.00 entitles you to receive the next version by mail. GRAVITY.EXE The main executable file. GRAVITY.HLP Data file for on-line help. enter actual systems and watch them execute. 2. A status line has been added to the running simulation. 3. Elapsed time has also been added to the running simulation. zoom-out to see the whole system. space, or from the perspective of any one of the planets. of planet movements has been removed to a large extent. 10. Planets of zero mass, and single planets, now move properly. truly reflect the actual size in relation to distances. 13. A planet density variable has been added for each planet. 14. You may now overwrite existing ".GRV" files. do is select one of the examples such as "Moon" and watch it run. values for planets, select "Planet Editor" under the "Editor" menu. can be entered for that field. whether or not you want to overwrite the existing file. be compatible with future versions. zoom-out to see them if you like. and can be left at that unless you are modeling an actual planet. which, in turn, only affects collisions. New position values are not calculated for stationary planets. it much, and I don't know if it will be very interesting. orbits can be toggled on and off with the 'O' key. simulation. Increasing "Calculations per Plot" may help with this. respectively: ! @ # $ % ^ &. toggled on and off with the 'T' key. below on Zoom Power for a description of zoom values. To exit the simulation, press Esc. Previously, any key would exit. changeable from the running simulation with the 'G' key (toggle). years. This display may be toggled on and off with the 'T' key. by pressing the 'D' key. large distance from (0,0), set Zoom to a number between 0 and 1.
look at essentially any location in space at any magnification. aren't moving in curves, but in a whole lot of tiny straight lines. and take on speed versus accuracy. velocity. The value found in nature is +6.67E-11 N(m^2)/(Kg^2). is still the default (usually 001). saved and all will be plotted when you switch back to a fixed view. off and revert to the values in "Screen Center X/Y". by choosing a lower resolution type than the one detected (i.e. program with /? for a list of available switches. 9. Notice that the exponent must be an integer. that you don't use more than two digits in the exponent. you don't use stationary planets you should never see this effect. is not low enough to overcome the "radius of curvature" effect. section on Dynamic Time Interval). distance and the precision allowed by the editor is not enough. available to specify the distance of Earth/Moon on the Y-axis. it into a lower orbit.